Time for a wardrobe update! Your “core” colors are colors that you love and are flattering to your skin tone. I used to have clothes in all the colors of the rainbow but as I minimized the number of pieces I realized having fewer colors was better for me. I’ve narrowed my core colors down to 2. These colors are staples and cover a good 50% of my wardrobe. 2. Find your coordinating colors. Coordinating colors complement your core colors and are easy to mix and match. Now even though I love patterns and have a lot of them in my wardrobe, having them in a minimal amount of colors makes them all work together cohesively. It sounds crazy but having LESS colors has given me MORE. More space in my closet because things are multi seasonal because they all coordinate and can be layered or worn alone. And more satisfaction with what I’m wearing everyday! 3. Choose pieces made with 100% natural fabrics like cotton, wool, etc. They’re better for the environment and easier to mix and match! 4. Shop the thrift store first! Why? Because they section their clothes by type AND color, which makes it easy to find your core colors. They’re also a lot cheaper than buying new. Also they’re already in the waste stream so you’re being friendly to the planet…..what can I say? I love thrifting. 5. Make sure they’re pieces you LOVE. If you like patterns and unique pieces than own it! Don’t settle for pieces you aren’t completely in love with. If you feel good in an outfit then you’re going to look good and project confidence too. I love all the funky eclectic outfits I have in my wardrobe and I feel great when I wear them. What more could you want out of your wardrobe? What are your core colors? Do you like patterns in a minimal wardrobe? I’d love to hear about your wardrobes in the comments! Well, why did you become a minimalist? What’s the big deal? So I thought it would be a great question to answer on today’s post. I’ve said it before and I’ll say it again…Less Stuff=Less STRESS. Simply because there’s less to think about. I’m not spending my time wondering if I have a dress to wear to a certain occasion or if I’ll have enough clean clothes for the rest of the week, I already know exactly what’s in my closet (because there’s less and everything is visible and worn multiple times) and when I’ll need to do laundry, mainly because I don’t have as much of it to do or worry about. Speaking of laundry and chores…Less stuff =Less chores to be done! Can I get a hell yeah for not spending your Saturdays cleaning out the garage-again. Or laundry, I went from 5-6 loads a week to 3…maybe 4 if I’m doing all my blankets off my bed in the winter. That’s it! When surfaces are clear it takes all of thirty seconds to dust them too. I’m going to be a bit morbid here, but when you die…and all of us will at some point….do you really want to leave a huge pile of stuff for your loved ones and kids to have to go through and sort and trash afterwards? I already know I’m going to have tons of junk to go through when some of my family members eventually kick the bucket, and frankly I’m not looking forward to having to do it. I’d rather leave future generations a wad of cash or a vacation instead of a pile of crap I’ve been hoarding “just in case they want it”. Just sayin. On a happier note, minimalism makes it so easy come holiday times, I tell family and friends I don’t want any STUFF, if they want to do something for me they can take me somewhere out to eat or ice skating, or to the park. Experiences trump gifts every time. 🙂 I’d rather spend time at a concert with my mother than have another useless tchotchke sitting on my dresser. Yay for bonding time. Have you seen pictures in magazines of open airy rooms and nice neat counters without a thing on them…I don’t know about you but I think they are so nice and inviting….psssttt, your place can look like that, all you got to do is get rid of everything that clutters your place up. My bedroom is my pride and joy, it went from cluttered and stressful to calm and relaxing, all by removing unnecessary things! Another thing that motivated me to start this minimalist journey was my beginning into zero-waste, I am a big believer that each and every single one of us impacts the planet with our daily choices whether they be good or bad. I buy my food loose or in glass jars, not only does this satisfy my environmentalist side, but it satisfies my minimalist side too because zero-waste pantries aren’t cluttered with brand names and tons of packaging. This is the old bucket on the left, I have now upgraded to a larger bucket under the sink. And last but certainly not least I always wanted to have a deeper connection with nature, and minimalism has allowed me to do that. I now have extra time in the day that I used to spend watching television or trolling on the internet that I use to get my hands dirty in my garden or just to go for a walk around my neighborhood. Its almost spiritual when you get to the place where you have just what you need and not much else, it almost feels like you’re harmonizing with nature. Taking only what you need to survive and respecting the planet. Some of these may be relevant to you, others not. These were what inspired me to become a minimalist and it is by far one of the best decisions I’ve ever made. If you have any other motivations that you’d like to share, I’d love to hear about them in the comments! All right, this is something that I said I would probably never do…like ever. But I finally did it, I wrote down a master inventory list of all of my stuff. Yep, I said it, I catalogued everything I own. Honestly, it took FOREVER to write the list, and I don’t have a ton of stuff to begin with! Or at least I didn’t think I did. I’ve already done about a dozen purges, each time getting rid of more and more that I don’t really need but was holding onto for the moment of “just in case”. Forcing myself to sit down and write a master list of what I own really made me take a hard look at each and every item and wonder “Is this item really necessary?”, I mean seriously, after writing so many different items down you get to the point where you would rather donate an item than have to write down anything else haha. I won’t kill you all with every single detail of my inventory, but I thought I would share a bit of it. The majority of items I found were smaller items that everyone has such as pens and pencils, miscellaneous desk items, and office supplies. I’ve always had a thing for creating paintings and sketches, it is a great creative outlet that is relaxing and in the end you are left with something either beautifully amazing or half-ways decent. My goal with the art supplies is to use the supplies that I have before I purchase anything else. I would eventually like to get to the point where I make my own supplies like paints etc. There was this book once that I browsed through that said you could make a paint brush out of cat whiskers….I have two cats who drop old ones all the time, I should have been saving them all these years! The only thing that is sort of a decoration that isn’t in this category is my paintings, I left them in the art category just to make my life simpler. For those of you wondering, I’ll throw out a few other numbers of things that most of us own. VHS’s- 17…Yes I do still have access to a VCR, I’m a weird person but I still like my VHS’s. Books- 225….this is still a large amount, but I used to own TWO THOUSAND, so it is quite an improvement. The one thing I have always loved is books. Sheets- 2 sets, one for winter and one for summer. I also have 1 comforter. X-mas stuff- 1 small metal tin of my favorite wood/metal ornaments that I display for the month of December and then put them back away. I can use hooks to display them on a wall or a metal jewelry holder to hold them up, I nixed my Christmas tree. Sentimental items- I have mine confined to a space rather than a number, all of my sentimental items such as photographs or old school accomplishments are in one cardboard file box. That’s it, if it doesn’t fit then I get rid of something…like pictures of old birthday cakes or Christmas trees lol Who needs those? Those are some of the numbers, which you may or may not consider minimalist. For me it is a far cry from what I used to have, and I continue to reevaluate my items on a weekly basis. What I like to do is keep one box by the front door and as I go about my daily business I can throw an item in there if I come across it and realize that I no longer need it. When the box is full I make a trip to the donation center. I never thought I would do an inventory like this, but it has been an eye opener. 1. About the number of things I actually own. 2. About how many of those things are one-hit-wonders or made out of plastic (I’ve been phasing out the plastic on my journey to being plastic -free and a Zero-waster). 3. About how much is truly necessary, and how much is just extra fluff. We can survive on very little, but tend to consume to excess. I am now making more mindful purchases that I mull over for a time to really assess if they are a necessity or if they will add value to my life. Now, considering the fact that this number is changing on a daily/weekly basis I am not currently 100% sure if it is accurate, but I will finally answer your burning question…right now my total number of possessions is somewhere around 900. 225 of which is books lol Another hundred or so are art supplies. So it may seem like a big number, but surprisingly enough it doesn’t take up a huge amount of space. I have 1 regular size room with a closet, and 1 shelf of space in our basement. Have you done an inventory of your items? If so what did you learn? If not, would you ever consider making one? If you have any specific questions about numbers of any item, ask them in the comments. I would love to hear from you! I also have been doing pretty well about not spending on unnecessary items. For the month of January I have spent a total of twelve dollars besides my regular bills. $2 was on a lotto ticket that I said yes to before I remembered that I wasn’t buying anything, the other $10 were on a pair of fuzzy slippers. (mainly because I am wearing holes in my socks walking around in them all day). Besides that, everything has been going really well. Let me start by saying that my original wardrobe took up my entire closet as well as every square inch of dresser space…it was overwhelming to say the least. In the past year I have downsized my wardrobe to probably 25% of what it used to be. I am loving the extra space that I have now, everything has space to breathe. Now I’ll admit it, there is still a bit more than I am comfortable with. This is my closet currently, I also have a dresser with the smaller things like Tank-tops, underwear, leggings etc. But as of January first I hung all of my clothing backwards. (the hangars are facing the opposite way) as I wear the pieces, I am putting them back the regular way, this way by the end of summer I should have a pretty good idea of what I actually wear and what I don’t. Anything that hasn’t been worn will be donated. I’m pretty sure I already know a few of the pieces that will go, but I’m going to give it until the end of summer to find out. What does your wardrobe look like? Do you have an area that you would like to minimize further? Within the past six months or so I have really committed to my journey to zero-waste and minimalism. But before I tell you where I am today, let me start at the beginning…. I live with my family in your modest suburban home that is somewhere around 1200 sq.ft. There are four of us who currently live in this 3 bed 1 1/2bath home. A year ago my closet was a disaster. Here in crazy weather state of Michigan, the seasons are not defined into set parameters like other states. Here we could get rain, snow, sleet, and a sunny afternoon all on the same Thursday. So you can imagine the amount of wardrobe that I thought was necessary for this type of weather. My closet is your average size, not a walk-in by any means, but still bigger than your average linen closet. A year ago it was stuffed to the brim…and it didn’t end there. I have a dresser as well that was also full, so much so that it was difficult to close the drawers. I even had my “winter” clothes packed away in vacuum seal bags in our linen closet. THAT was how much clothing I owned. And I was lucky if I wore 20% of it regularly. Fast forward a bit, and I got into minimalism. I started purging. And purging. I easily did over a dozen purging sessions, where I would get rid of things that I hadn’t used since the last session that I thought were “must have’s”. Now….a year later. I can finally say that I am comfortable with the amount of things in my wardrobe. All of my clothes fit….with room to spare…in my closet and dresser. No more vacuum bags, no more stuffing and rearranging to “organize” my excessive amount of stuff. Now it is rather simple. Laundry is easy when you don’t have a mountain of clothes to wash. I do maybe 3 loads a week now, as opposed to the ridiculous amounts I did before. I find when you have less clothes, you wear them longer before each wash too. When you have more, it is easy to justify wearing something for an hour and then changing because you have so much. It is easy to pack for vacations. I can probably fit my entire wardrobe in a couple of large suitcases if I wanted to. There is no longer any excuse to not know where something is. Since there is less to keep track of, I never have to search for that one pair of shorts…way back in the abyss of the dark closet corners. It is all easy to manage. Say it with me… “no more dry cleaning!” This one is optional of course, depending on what pieces you have chosen to keep. I like clothes that I can just throw in my washer and dryer. No more trips to the dry cleaner for me. I can always find a matching pair of socks. I have about 10pairs now, all white, most of them are interchangeable. It makes my life easy. It takes me less that 5 minutes to get dressed in the morning. Need a dress? Well the choice is easy…purple, blue, white or black? Done! What other benefits have you found from having a minimalist wardrobe? Minimalism makes staying organized easy! Hey guys, Since starting my minimalist journey, I have realized that it is a LOT easier to stay organized. Before I purged, I would have piles of things on my desk, tons of bottles on my dresser, and things everywhere. It was hard to stay organized, because it was extremely tempting to leave whatever I was holding with the piles that already existed, piles are tricksters…you start with one paper and before you know it there is a whole party going on on top of your kitchen table. Now that I have only what I love and what is useful to me, I have more room, I no longer have to play tetris to try and fit something into one of my drawers or onto my bookshelf. There is now room to spare. Since everything fits within my drawers and shelves, I no longer have cluttered surfaces. My flat surfaces are clean all of the time now unless I am specifically using them. Being minimalist, means that everything I own has it’s own home, and that makes it really easy to put it back where it belongs when I am finished with it. As a result I know where EVERYTHING is, at all times. If someone needs a battery I can direct them to where it is within my room without having to get up off of the couch. No longer do I have to wonder where I put something, my keys are never lost, and I can easily grab everything I need for the day and leave my room in under five minutes. 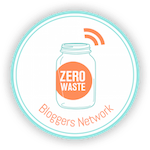 Hi everyone, today I want to talk about a topic that has been making the rounds lately, and that is what to do when you are going zero-waste and minimalist, but the people you live with are opposed. 1. SPACE– This is the biggest tip I can give for others who are living with non zero-wasters/minimalists…..make your own space and maintain it. Do NOT try to worry about or control their space (believe me, I tried, and all I got in return was STRESS). In our home “My Space” consists of; my room, my closet, the top shelf in our linen closet, 2 shelves in a kitchen cupboard, 2 shelves/drawers in the fridge, 2 wicker baskets (for my produce), one small box in the laundry room, and one small corner of the basement for misc. items. If you do not have kitchen space, negotiate for it. My bathroom routine got so small that I no longer need any drawers or shelf space in the bathroom, I gave it up in return for the cupboard space. It was worth it. In the fridge I simply started by separating my grocery shopping and bills from theirs, then congregated all of my food onto one shelf. I already had the bedroom space and linen closet shelf, so I did not have to negotiate for those. I did negotiate for my compost space in our backyard, I had to make promises that it wouldn’t smell and that it would not be in their way. 2. MONEY- If you are not paying the lion’s share of the bills, the best way to show your family/roomates the benefits of zero-waste and minimalism, is to lower your contribution to those bills. This could cover everything from taking shorter showers to lessening your television watching. My showers used to take quite a while, because I had about 20 products for every part of me, and it took forever to use them all. Now I have 3 things, shampoo, soap, and shave stuff. I condensed my showers from 20-25 mins to now about 10, saving on the water bill. I share a car with the family as well, so I try to plan all of my errands on one day, to save gas. I do my own laundry, buying my own soap nuts, and I buy my own groceries as well. My bills are pretty much separate from theirs, except for the basics of electricity and water. I take care of my own stuff, and lessen my impact on theirs (trust me, they DO notice the water bill!). 3. Show, don’t tell- let your lifestyle speak for itself, do not try to force them into it by talking it to death. Be sneaky, when they see you do it and they see your positive results, they are more likely to be influenced. For example, it took me forever to convince my family to sign up for curbside recycling, and when I finally did I was the only one using it. They saw me faithfully take out my recycling every day to the bin, and eventually they started following along, and they now easily fill half of the bin each week. The same thing goes for food, they see that I do not purchase packaged food and that I go to the farmers market. Sometimes I invite them to come along, but I never pressure them into anything. It has been 4-5 months since I started, and I now see them making healthier choices when they shop, it is all about baby-steps. Now I know there are going to be days when they frustrate you to no end, I go through those days too. Remember that you can only control your own choices, and it does not pay to worry about others. Live your life the way you choose, and be a positive example for others. That is all that you can do, and trust me when I say that it DOES make a difference! Hi everyone, this week has been really good 🙂 I got called for a job interview, I had enough time to finish my painting, and I finally got to read this book from the library. A lot of you have probably heard of this book. It has been a big thing recently with decluttering videos on youtube, as well as in blogs (google KonMarie method and you will find them all). I have to say that I was skeptical about how much this book could possibly influence anyone to get rid of things, but I have been pleasantly surprised by how well the book is put together. For those of you who have been following my blog, by now you know that I have done quite a few purges, and continue to evaluate my things to see if they still meet my needs. Even so, and even though I have brought myself down to an amount of possessions I never thought possible…..I still found more things that do not bring me joy. I am getting rid of another 2 boxes worth of things today. I really enjoyed this book, and I would highly recommend it to anyone looking for extra motivation 🙂 I thought it was very interesting how she says to thank your things for being useful, so when you take your shoes off you would say “thank you for protecting my feet today”, I find that this practice, although seemingly strange, can really put things into perspective, and will really help you be grateful for your possessions and the hard work they do to help you out. I’m feeling pretty inspired today, how about you? 2 little make-up sized bags. I have a few others, and I no longer use these. A small sleeping bag that I used to use for stuffed animals and Barbies, but now has no practical use. 2 sets of tall candles, they are duplicates that I do not plan on using. A random shoestring, I have no idea why I have one random shoestring, but there it is. 3 random fake tattoos…..yeah, I have no defense for that. A plastic zipper storage bag…. I hope you enjoyed a peek into my decluttering effort! Reduce- what you use, the amount of possessions, etc. Repair- holes in clothes, etc. Reuse- upcycle, use in a different way, etc. Recycle- what doesn’t fall into the previous categories. I would go down the list in exactly that order as well, that way, by the time you get to the recycle option, there won’t be that much to recycle. As time went on I added small pair of scissors to the jar, along with a sewing needle, a thimble, and a few bobbins of thread that I had collected over the years. I saw a pinterest sewing kit in a jar, and it had a pin cushion on top of the jar, so I decided to DIY one for my jar. I just took some extra fabric for the stuffing, and a purple scrap to cover it, I hot glued it to the lid of the jar and my home-made sewing kit was born. This beauty has helped me save many sweaters, skirts, and bags from the landfill. It is extremely convenient to be able to pull this out whenever I find a hole or torn seam, and just sew it back together. I have extended the life of most of my clothes with a tiny sew job. When the clothes or other cloth items can no longer be mended, they will be reused as scraps or hankies, extending their lives even further. Do you have a sewing kit at home?